This past weekend, our friends, Miah and Christie, hosted a wedding shower. I was out of town, but my roomie/bf represented us at the shindig. 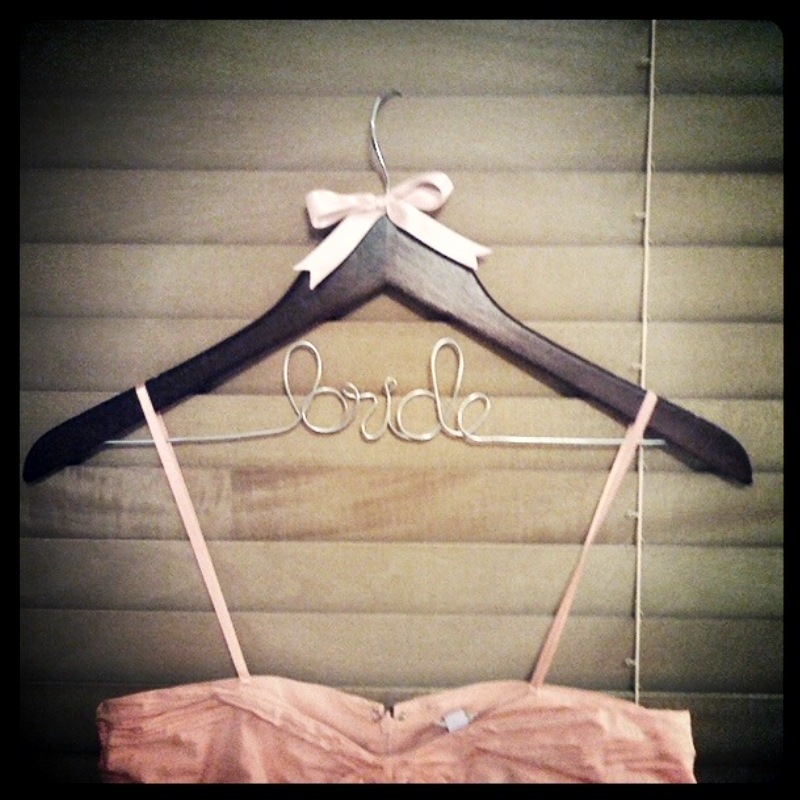 Along with the standard Target registry gift, I thought it would be nice to make Christie one of those bridal hangers I’ve seen on Etsy. Plus I could make one for Kim too. Cut a piece of wire, accounting for 8-10 inches per letter plus 10-12 inches for the spacing—better to have more than not enough wire (I used 50 inches for “bride”). I looked at Etsy for ideas on how to form the letters. 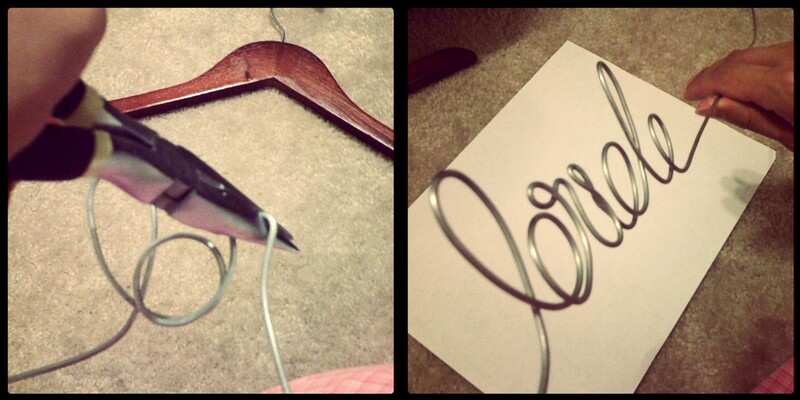 I mostly used my hands to shape the curvy letters and pliers to hold and bend tighter letters, like the “r” and “i”. The “i” was definitely the most difficult. Using the needle nose, poke holes in the hanger for where the wire will be glued. 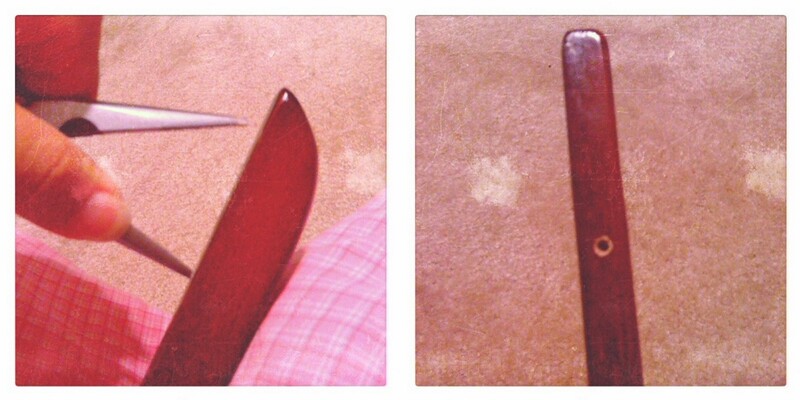 I placed holes about 2 inches from each end, 1/4 inch deep. If you have a drill, it will make this step a lot easier. These were surprisingly easy to make for about $2 each—although my thumbs are a bit sore from all the bending. 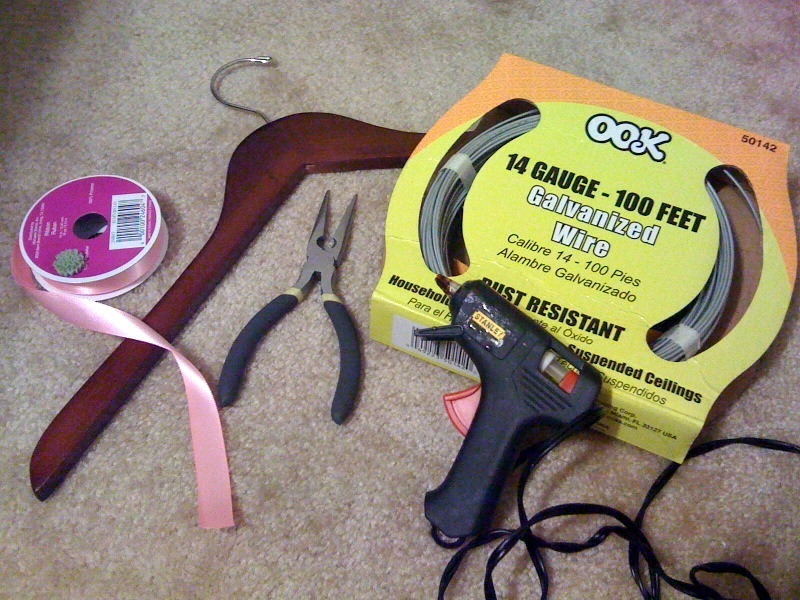 Note: if you want full DIY hangers, follow these instructions from Project Wedding. 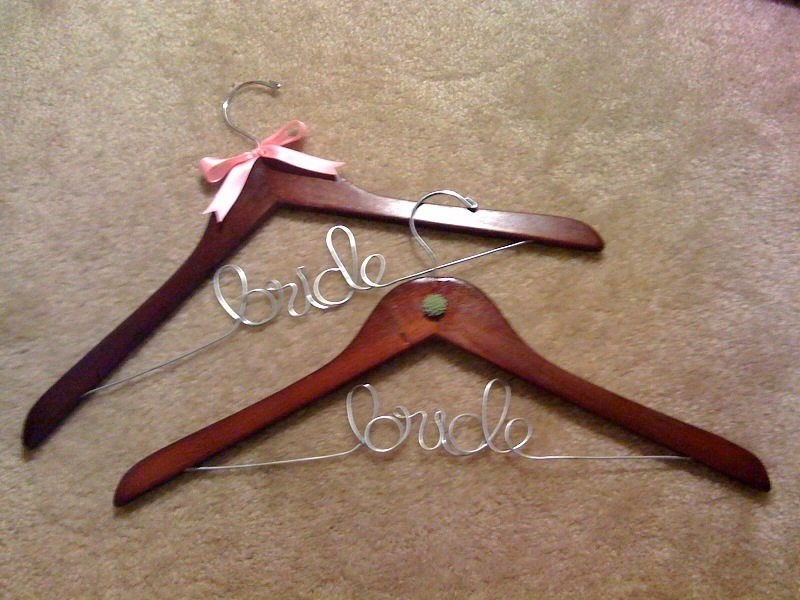 This entry was posted in Crafts, Gifts, Weddings and tagged bride hanger, DIY hangers. Bookmark the permalink. These are super adorable! Great job.